By default, windows 10 me auto update features ON rehta hai jiski waja se hamare internet ki data limit background me chalo reh kar khatam ho jata hai. Is situation me internet access karna sar dard se kam nahi hota. Windows 10 पर auto अपडेट features से छुटकारा pane ke liye bahut sare methods hai jaise ki manual method se automatic updates ko 35 days ke liye pause kar diya jata hai. Manual method utna useful nahi hai to main aapko ek easy method bata du jis se aap auto update features ko band kar sakte hai? Ye tarika aap system tray me KillUpdate se easily ON/OFF kar sakte hai. Basically, ye program background me run karta hai jo windows 10 updates ko har 10 second baad check karke inhe lock kar deta hai. Updates par pura control karne ke liye aapko KillUpdate program download karne ki zaroorat hai jo is headache ke liye perfect solution hai. Step 1. First step me KillUpdate.exe file download karke. Is software ko aap kisi verified website ya phir Github se download kare. Step 2. Download process complete hone ke baad, KillUpdate.exe par right-click karke Run as administrator select kare. Agar aap run as administrator par click kiye bina hi is software ka upyog karenge to ye work nahi kare ga. So, be careful. Step 3. Software open karne ke baad, system tray me Lock icon show ho jayega. Lock icon par right-click karke Locked option select kare. 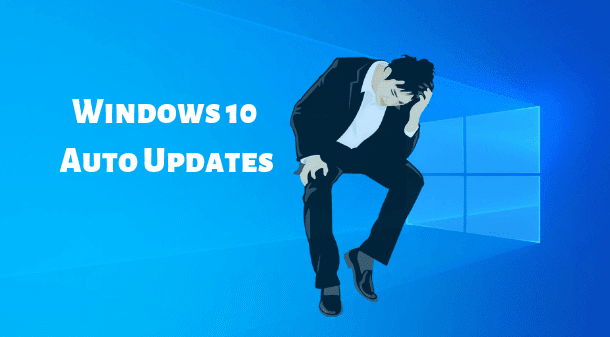 Ab auto updates is software ki madad se lock ho jayenge aur is tarah se windows 10 me automatic updates off band ho jayega. Jab bhi aap apna desktop/laptop start karenge to isi tarah se system tray me ja kar is Application ko launch kare. Agar aap ise auto launch mode me use karna chahte hai to Locked option ke opar Load at startup option select kare aur aapka jab bhi start ho jayega to ye application automatically launch ho jayegi. Agar aap software ke bina hi auto updates ko band karna chahte hai to neeche diye gaye steps follow kare. Ye options aapko control panel me mil jayenge. Step 1. Control Panel > System and Security > Administrative Tools. Admin tools par click karne ke baad ek popup window open ho jayega aur us me se Services option par double click kare. Step 2. Services par double-click karne ke baad, ek aur window open popup karega jahan aapko scroll down karna hai aur finally windows update option mil jayega. Step 3. Windows update par right-click karke properties select kare aur startup type ke dropdown me disabled option select kareke Apply aur phir OK par click kare. Ye method apply karke hum apne computers ke updates ko only 35 days ke liye pause kar sakte hai. Step 1. Sabse pehle All setting me jaye aur phir Update and security select kare. Step 2. Iske baad, advanced option me jaye aur phir pause updates option ko ON kare. ON karne par iska color blue ho jayega. Agar aap kabhi bhi apne PC ko update karna chahenge to KillUpdate software ko deactivate kare ya phir uninstall. But agar aap ne updates ko manually pause kiya hai to ye step repeat karke ON kiye gaye options ko OFF kare ya phir directly check updates par click kare.